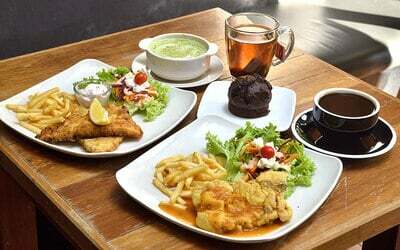 Get swept up in the flavours of a sumptuous 3-course meal from 113 Degree Cafe! Whether you like poultry or fish, you can have your choice of a chicken chop or fish and chips meal to pair with your Soup of the Day and Dessert of the Day. Valid Mon - Fri: 11am - 3pm (not including public holidays).